High-end clocking and conversion manufacturer Antelope Audio is launching its most accessible and versatile recording tool to date, the Zen Tour. The inteface features an ultra portable form factor, Thunderbolt and USB connectivity, 8 analogue inputs and outputs, DSP effects, hardware-based guitar amp and cab simulations and more. Antelope says this makes it the ultimate creative recording tool for musicians and bands. 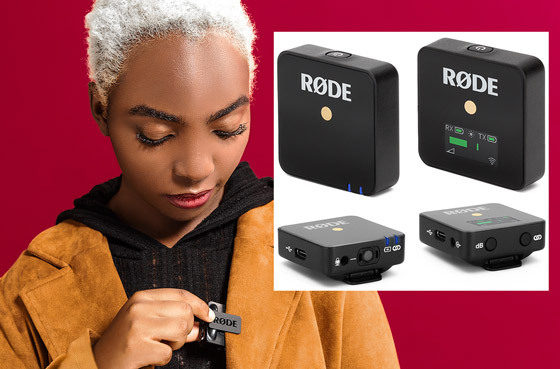 There are 4 switchable Mic/Line inputs and 4 High impedance/Line inputs as well as digital ADAT & S/PDIF I/O for increased connectivity options. There are both dual independent headphone outputs and dual monitor outputs. Dual reamp outputs provide versatility for guitarists and other recording artists and a talkback button on the front. Zen Tour incorporates the same parallel DSP processing capabilities found on Antelope Audio’s professional studio devices, enabling super low recording latency. These include guitar amp and cabinet simulations, EQ, and the AuraVerb reverb. With the incredibly low latency of Antelope’s Field-Programmable Gate Array (FPGA) processing, Antelope claim their guitar amplifier models respond with the same immediacy of real tubes. Eyeheight has just announced the introduction of the first two modules in its AudioLoudnessSuite, namely the AudioLoudMeter and CorrectLoudWidget. These plugins allow programme audio to be conformed quickly and easily to European or North American approved standards. The new modules are being offered for free on a six month trail licence. AudioLoudMeter is an audio loudness metering plugin which evaluates mono, stereo and 5.1 surround. It offers metering for momentary, short term and integrated loudness plus individual loudness contributions of L, R, C, Ls and Rs. Additionally true peak readings using 8x oversampled audio are shown plus digital Loudness readout in K-weighted Full Scale (LKFS) units. There is a Loudness distribution histogram and a time-scalable loudness history graph for ATSC A/85 and EBU-R103 modes of operation. The new PreSonus StudioLive AR USB hybrid mixers make it simple to mix and record. Aimed at musicians they are packed with analogue connections and digital tools. The series includes the 18 channel StudioLive AR16 USB, 14 channel StudioLive AR12 USB and the 8channel StudioLive AR8 USB. StudioLive AR USB mixers are equipped with a USB 2.0 audio interface that can capture all input channels, plus the main mix at 24 bit 96kHz. PreSonus’ Capture live-recording software and Studio One 3 Artist software are both are included free. An onboard stereo SD recorder lets you record the main mix without a computer also. All models are intended to be available in the third quarter of 2016, with expected prices of $599.95 (AR16), $499.95 (AR12) and $299.95 (AR8). NTP has released new option cards, new firmware and control software for DAD converters. The AX32 firmware version 2.0 increases the matrix capacity to 1,500 x1,500 non-blocking cross points for routing and splitting any input to outputs signals and all input and output channels have independent level control and audio metering. There are two new I/O option cards for the AX32, a dual MADI I/O module and an eight-line AES3 (AES/EBU) I/O module with optional sample rate conversion. ‘With the addition of the new cards, the AX32 is now one of the most versatile platforms for audio postproduction on the market,’ comments NTP Technology Business Development Manager Jan Lykke. ‘It is ideal for processing stereo, surround-sound or 3D formats like Dolby Atmos. The AX32’s internal processing engine is now capable of providing PPM-style audio level information and level control for all 1,500 input and outputs.